Jetset approached Splash with the need for a Facebook campaign strategy. We responded with The Jetset Travel Diary Challenge. In a nutshell, we invited Facebook fans to enter their favourite travel story for the chance to win a free night at the Four Seasons hotel in Sydney. Splash conceived, designed and executed the campaign. The Facebook campaign was launched via an HTML newsletter sent to an existing customer database. The email directed recipients to Jetset’s Facebook page, encouraging them to like the page. Upon liking the page, fans could enter the competition. 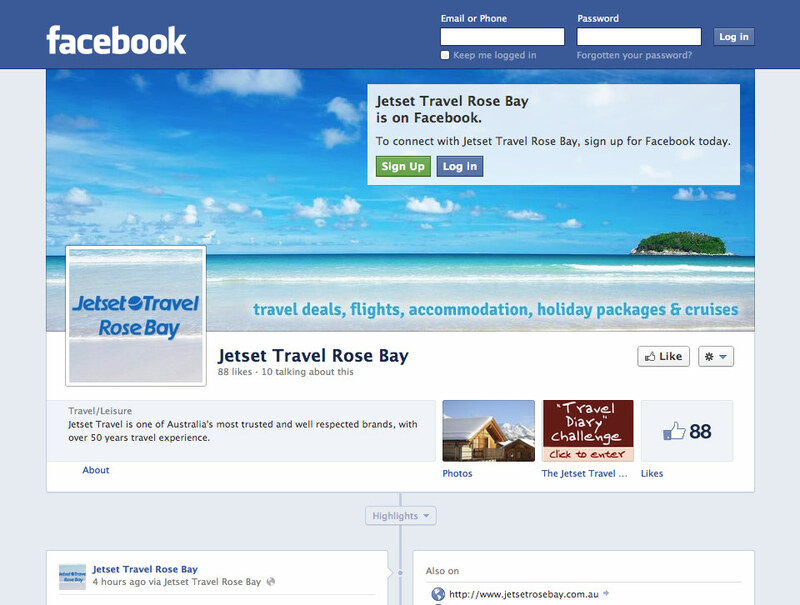 The end result was a boost to Jetset Rose Bay’s Facebook fan base.